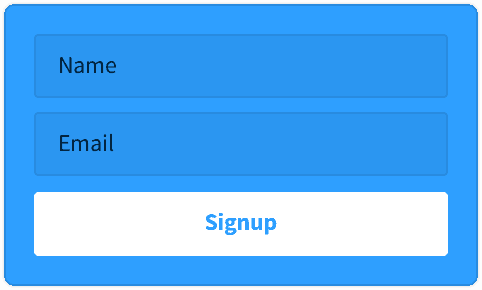 Without adding any additional code, Disqus unlocks new ad inventory that didn't exist before. Easily choose between several ad types and positions to optimize for your design and revenue goals. We take care of the headache of integrations and provide ads from top demand partners. Default, highest-performing position. Supports all ad types. Exclusive inventory, only available from Disqus. Avoid conflicts with other ad content on your site. Least intrusive to commenter experience. Supports multiple ad types. 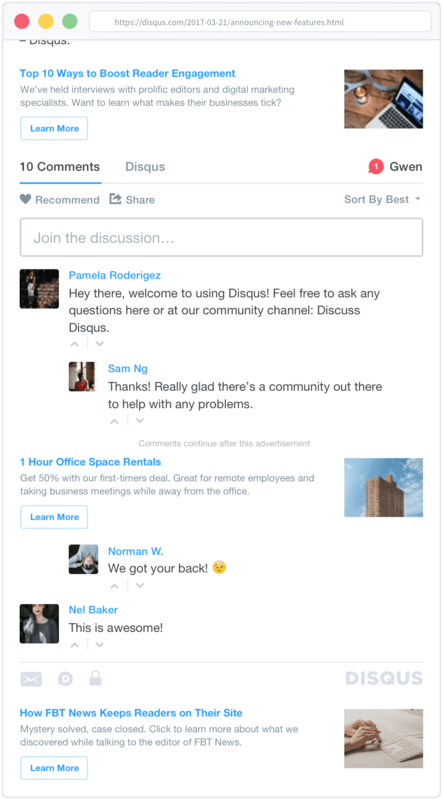 Disqus' native ads adapt to the look and feel of your site, creating a native experience. Example of "Sponsored Story" ad type. Allow multiple different ad-types to compete for your inventory to maximize CPM. Take advantage of header bidding across Display partners to optimize yield. 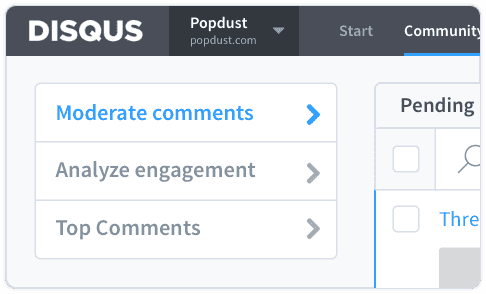 How do I earn revenue with Disqus? 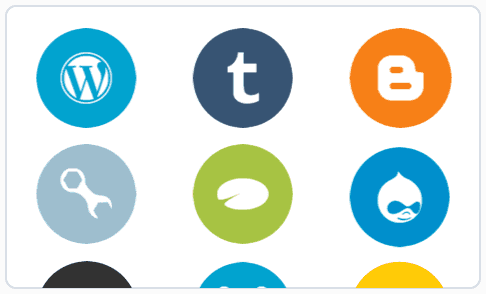 Publishers who are a good fit for our Reveal revenue share program based on our eligibility criteria will have the option to activate Reveal within a few days of installing Disqus.